The central instrumentation laboratory is equipped with major instruments like Rotary Tablet Punching machine, Liquid filling machine, Bottle capping and sealing machine, Programmable tablet dissolution test apparatus, Environment test chamber, Ultra Sonicator, Cooling centrifuge, Double cone blender, Deepe freezer (- 70° C), BOD incubator, Horizontal & Vertical type autoclaves, Laminar air flow, Gel electrophori's apparatus, DNA sequencer and HPLC systems. A separate Aseptic room facility is available or any microbial works. 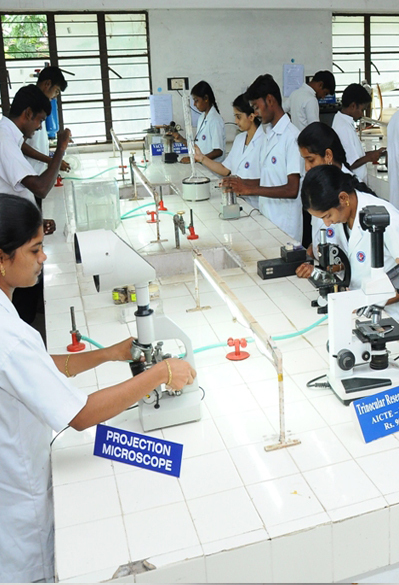 Each department also has a separate specialized instrument laboratory to fulfil individual departmental needs based on the research programs, which includes high and normal pressure multiple organic synthesiser, peptide synthesizer, gel permeable chromatography, photoreactor, microwaves reactor, HPLC systems, stimulator, autoanalyser, blood cell counter, tissue processor and embedding set-up, freeze microtome, inverted and upright microscopes, humidity and thermostatic chambers, automated dissolution apparatus, capsule filling machine and colloid mill.